Planning to go out skiing? If so, stay protected! Shopping is made easy with our buyers guide. You can find the best women’s ski goggles around on this page. It’s as important as ski and snowboard masks, so read on to discover our list of the 10 best choices in the market! Before looking at our top-rated women’s ski goggles, you have to first understand the qualities to consider. What makes these the best ski goggles for women, after all? What makes them stand out? One of the first things to consider is comfort. These goggles have to be comfortable and designed for a smaller, female frame. The materials have to fit in nice and snug too. You also need to consider the durability while taking into consideration aesthetics and customization. They have to look good but last longer than a year or two to get your money’s worth. Lastly, you’ll need to consider additional features. These can include UV protection, interchangeable lenses, and better ventilation to avoid foggy lenses. 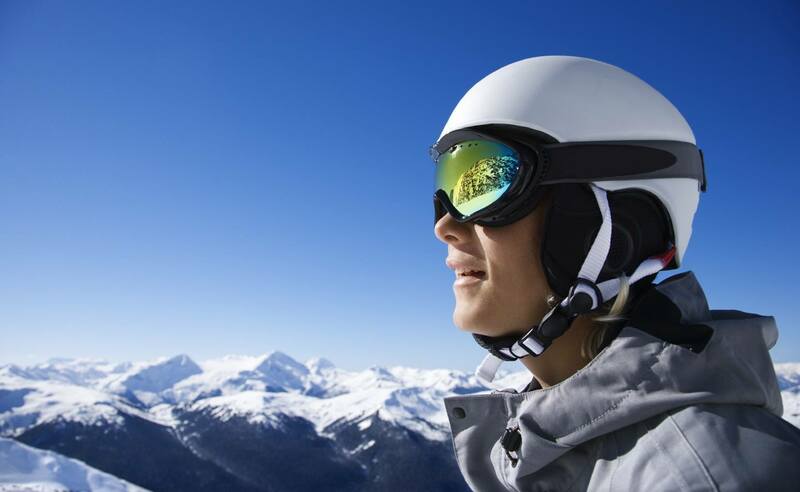 Check out our list of the top rated womens ski goggles on the market. This ski goggle is one of the most basic, mid-price range brands for women. This pair comes in 19 frame colors and 7 lens colors. It offers the highest degree of customization for its price range. Its design fits women best due to its smaller frame. It’s made for smaller, more feminine faces while giving a wider field of vision. The Electric EG 2.5 has a lot of lens area with the frames set further back to prevent eyesight blockage. The goggles have full UV protection like most of the decent brands out there. If you’re willing to shell out more money, you can buy its polarized versions at a higher price. It comes with an adjustable band to make it feel snug and fit around your head. These are among the top rated women’s ski goggles due to its versatility. It has an interchangeable lens and a great, adjustable design. Compared to EG 2.5, these Anon goggles are more complex. It’s also a bit closer to a higher price tier, but its features are worth it. It comes with a lot of different designs, whether it’s patterns or solid colors. Often, people overlook the Anon’s best feature–its spherical-shaped lens. Compared to other goggles, this one imitates the natural curve of the human eye. What this means for you is that your view of the world has fewer distortions. The lens’ coating ensures that you can see clearer by preventing fogging. It also comes with side-venting to keep the air flowing through the goggles. The package also contains a set of interchangeable lenses covered by a soft case and a hard case. It’s easy to replace the lenses of the Anon WM1. You don’t need to use hardware since you can snap them into the frames. If you got the money, make sure to get this product for great results. This pair of womens ski goggles is the best for its elegance. Like the others within its price range, it comes with the basic features and delivers more. For starters, it comes with UV protection and tinted lenses. These goggles fit best on a large variety of helmets since it has adjustable straps. Like the Anon, its lenses don’t fog up and its design prevents vision distortion. What makes it stand out is the fact that it has anti-shatter lenses that don’t break no matter how you fall. These Roxy goggles have a double-layer foam lining and a fleece moisture wicking material. It ensures your comfort while keeping your eye area dry even in heavy snowfall. Most of all, it comes with an affordable price tag. This womens goggle is in the mid to lower price range. What makes it great is the fact that you can upgrade, customize, and adjust it. It only has six strap and frame color options, but its lens options are more than any of the ones in this list. Aside from the customization options, it also has stability and balance as a snow goggle. It has lens options that cater to different lighting situations like full sun, overcast, or nighttime. Within each lens group, you can choose the tint to give you the best visibility possible. The lenses also come with anti-fogging technology. These features will make you question its price range. But with a well-established brand, the Giro Facet is a reliable and a solid product. 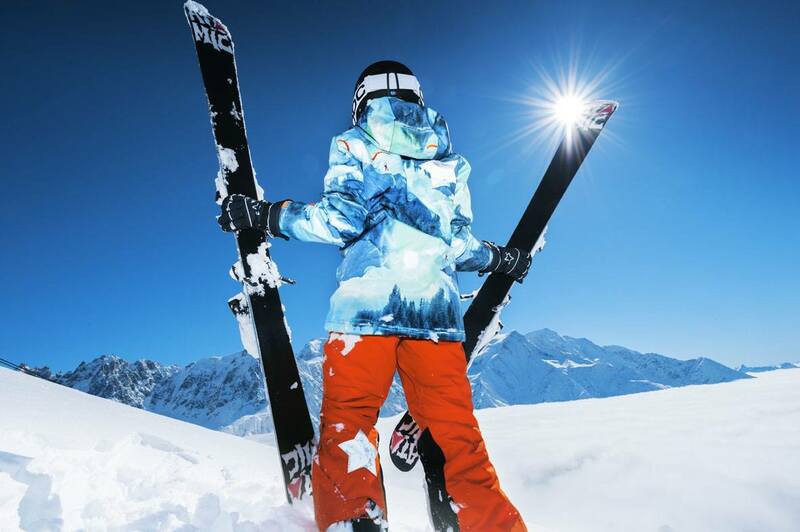 Got some of the best womens ski jackets and in need of goggles that pair well with them? How about something from Oakley? Oakley is one of the biggest goggles and sunglasses company in the world, founded back in 1975. In a surprising twist, these Oakley goggles are in the middle price range. What makes it unique compared to other brands is its lens’ upgradability to PRIZM technology. It comes with most of the features found in the other goggles on this list like anti-fogging. It has its own unique features like a lens sub-frame attachment system. This helps you switch out your lenses without any problems. Its polycarbonate build makes it easy to fit over your face, ensuring maximum comfort. This is the most basic option you have for the Oakley brand. But with more than three decades in the industry, it remains a solid option. The price of these women’s ski goggles lean more on the high side. It’s a buyer favorite since it has so many color and pattern choices. Its main selling point is the fact that you get an extra pair of lenses for free. The lens they give is often the opposite of the lens type you chose. This helps you get more clarity and visibility while ensuring comfort. It comes with most of the features found in most goggles like fog shield and a wide view design. The I/O 7 stands out since they have lenses that come with specific functions. For instance, they have lenses that get rid of the glare on snow. You can also tailor your goggles to fit different outdoor conditions. With these features, you can get a pair of ski goggles that can last a lifetime. This does help alleviate the fact that these goggles cost a bit more than the traditional option. At least you won’t have to pay more in the long run since you won’t keep buying replacements. Another model from Anon, these ski goggles are less expensive compared to WM1. The price still puts the Tempest on the middle range. It still has lots of combinations for bands, lenses, and frames. Like other models, it meets the basic features with its wide view lens design and anti-vision distortion lenses. It uses a polycarbonate material for the lens coupled with a triple layer of foam. This ensures maximum comfort while maintaining a good degree of vision. It is important to keep in mind that Anon Tempest, in terms of build quality, is one of the most highly regarded brands in the market. If you care more about the build than pure fashion, this is the pair of women’s ski goggles to go with. These are in the running for best ski goggles women can find for the price. This pair of Roxy goggles is less expensive than its Rockferry counterpart. As far as price goes, it’s the second cheapest option but it still gives a lot of value. It has most of the basic features with UV protection, anti-fogging lenses, and a double-layered frame. Due to their fashionable design, these work well with good-looking snowshoes and other high-end skiing gear. You won’t look like a science experiment hoping to stay safe. Instead, you get the guarantee of safety and efficiency blended neatly with fashion. It has a fair amount of comfort with its polar fleece lined foam. It comes in different colors and designs that make it look more expensive than its price suggests. It’s a solid choice if you want basic functionality and a cheap price. The Virtue is a mid-priced pair of goggles that come in two different lens options and nine color variants. Its bands can come in different patterns like stripes and polka dots. If you want the less whimsical look, you can always go with solid colors. These goggles are compatible with many helmets out there. It uses the spherical lens with an anti-fog coating to prevent distortion. The coating is on the second innermost layer of the lenses. The dual layers function as a means of reducing fluctuation when moving at varying heights. Its clasp on the adjustable band makes it easy to clip into helmets. This minimizes the risk of messing up its adjustments to fit on your face. If you need goggles with great functionality and add-ons, Smith Virtue is a good ski goggle choice. The Charm model is the cheapest choice on our product list. This alone can make it the best women’s ski goggles for some. What makes it great is the fact that you can upgrade its lens for more functionality. If you’re starting out and you don’t want to spend much, this is the best choice. As starter goggles, it comes with anti-fog lenses and has two layers of foam for face comfort. The style is more limited, but six color variations still give you a decent customization level. It’s also compatible with any helmets made by the same manufacturer. Giro Charm has cylindrical lenses with a vent on top. It’s thermoformed, and its design is more fit for women with smaller faces. It’s a great choice if you’re petite and you want a pair of goggles at a bargain price. This is the most budget-friendly choice for women’s ski goggles.